It’s very soft. Pretty colors. 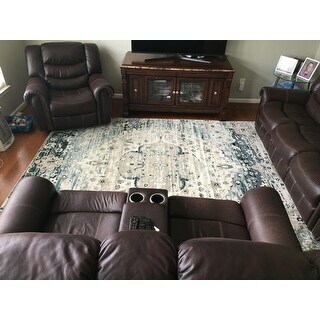 Very light run so moves easy even with a rug mat underneath. But I still love it! 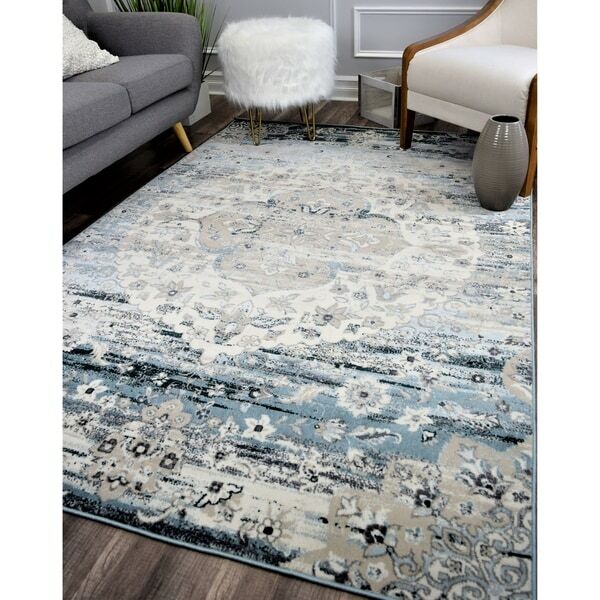 Safavieh Galaxy Transitional Charcoal / Blue Rug - 5'-3" X 7'-6"
This rug's motif exhibits a dance between classic and contemporary styles, and is awash in beautiful shades of blue, creating a compelling color story. Partnered with its good looks is its sturdy construction—a blend of polypropylene and polyester fibers with a short, durable pile that's designed to have a soft touch. Bring a sense of grandeur back to your space with this power-loomed rug.